Our professional staff uses state of the art tools to diagnose both software and hardware issues your computer or network may be experiencing, and recommend solutions. Once we find the issue, we are able to provide either in-store or on-site repairs to get your device working properly. Our team is equipped to repair both hardware and software problems in your home or place of business, or you can bring your device to us to experience our quick turnarounds and our proprietary repair process on in-store repairs! If you chose on-site repair, we will bring all of the necessary tools and skills to you, eliminating the need to unplug everything from your computer. Cyber Knight Computers services all types of computers including Apple, Lenovo, Asus, Dell, Toshiba, HP and Gateway. 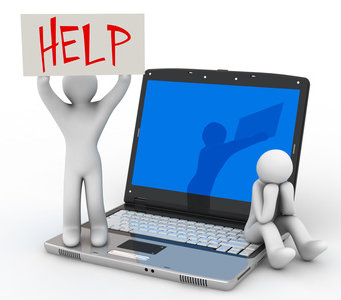 Many times, computer issues may be due to a virus or spyware on the device. We use our vast experience and professional removal tools to remove these from your computer. We make sure that all of your security settings are optimized and install any necessary security updates, plus our staff will recommend ways that you can keep your computer clean to prevent future infections. We have a wide range of hardware and software solutions to increase your computer performance. You can purchase PC or laptop components to repair your own computer, or our experts can help you chose the upgrades your computer needs to work the way you want it to installed by professional technicians. 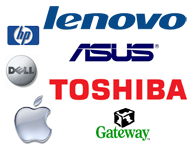 We carry components from all major manufacturers, to include: Logitech, Microsoft, Intel, Western Digital, Seagate, Creative Labs, Altec Lansing, Sony, Asus, Lenovo, In-Win, Antec, Cooler Master, Thermaltake and many more. We offer in house data transfer and backup. For hard drives that are physically damaged, we have partnered with a clean room data recovery lab. Through our lab, we are able to offer data recovery, computer forensic, and more in a top class facility. Our qualified technicians are proficient in cabling, building and installation of servers and workstations, and diagnostics and repairs of existing networks for both personal and professional use. Cyber Knight Computers specializes in CAT 5, CAT 6, fiber optic and coax cables, and we can accomodate installation and servicing of anywhere from 1 cable for personal use, to several thousand for businesses. For more intricate networks, we can set up your routers, backup solutions and firewalls as well. *Wiping your computer will render your data unrecoverable to prevent others from getting your personal information.